In summer, we can offer you a big wellness resort: the Pusteria Valley (Pustertal). We are an ideal starting point to explore the numerous facets of the marvellous environment, by walking, biking, hiking, horse ridding. This is wellness for as. Our sauna is open only during the winter season, exclusively for our guests. Here you can relax your tired muscles after an intense sport day, soothing music, soft light and aromatic fragrances. After dinner you can book privately and in exclusive use for you. 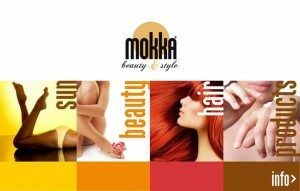 The Mokka Beauty Lounge is a tanning center and wellness-spa. It offers tanning services thanks to professional and cutting-edge modern solarium. Aesthetic services such as hair removal, massage, facial and body treatments. Hairdressing services with different types of hairstyles. Re-energize with the power of the 4 elements – at Cron4! 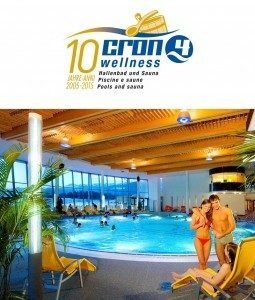 With five different pools and a 75-metre-long (80-yard) water slide, the Cron4 Wellness Oasis is guaranteed to bring fun and relaxation to the whole family. Boasting a 6-pearl award, the world-class sauna spans 3,000 square meters (over 32,000 sq ft). It features 13 different sauna rooms, including several relaxation areas, Kneipp therapy facilities, a graduation tower including foot bath pools, and it hosts regular, state-of-the-art Aufguss performances.